Apple can do some incredible things in a very short time. That has not stopped. 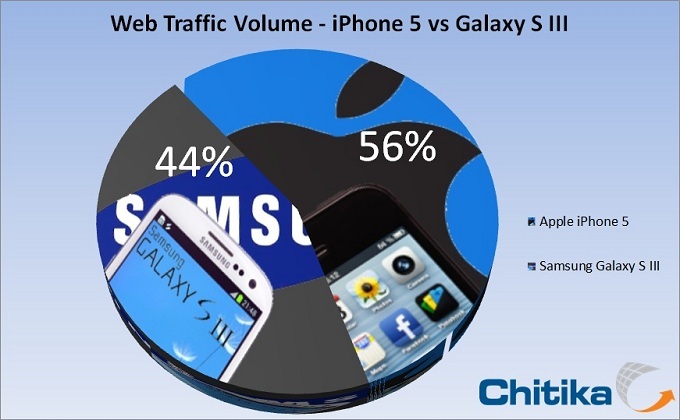 Apple’s iPhone 5 already has more web traffic volume than the Samsung Galaxy S3. It took them less than three weeks to do it. Apple’s iPhone 5 went on sale on September 21. Apple has sold over 5 million iPhone 5 units in just one weekend. Apple has sold so many that they are finding it difficult to keep up with the high demand.